Z-Man Games has announced the release of Kingsburg Expansion Module #6, a set of familiar faces with all new abilities. The King’s advisors have convened once again to pool together their collective resources in hopes of saving Kingsburg for yet another year. Only this time, their offerings will change at some point during the game. The premise is simple. Essentially, at the start of each productive season, a new advisor reward is revealed and placed on top of its spot on the board, replacing the reward players have grown familiar with. Eventually, each advisor will feature a brand-new effect, allowing players access to the advisor’s new reward while removing its existing reward for the remainder of the game. For example, the General originally focuses on battle, recruiting 2 soldiers and secretly looking at the top card of the enemy deck. The new reward tile replaces that effect with the reward to gain 2 gold or 2 wood or 2 stone. The Wizard normally rewards players with 4 gold, but with the new advisor tile placed on his space, he will now reward players with 5 victory points. These subtle differences can dramatically change strategies for fans of the game who feel like they’ve fully explored what Kingsburg has to offer. Whether you’re a die-hard Kingsburg fan or you’ve just been itching for an excuse to get this beloved classic back to the table, look no further than Module #6 , sold exclusively on the Z-Man website and available now for just $6.99! 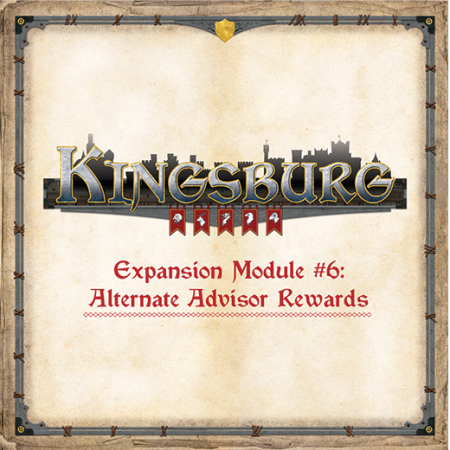 Note: Expansion Module #6 is already included in the newest version of Kingsburg. 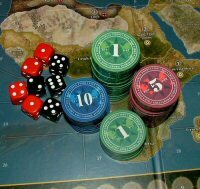 This expansion is intended to offer owners of the first edition the chance to purchase the expansion separately. Z-Man Games is pleased to announce the upcoming release of a new edition of Kingsburg, a game of city building and courtly intrigue for two to five players! 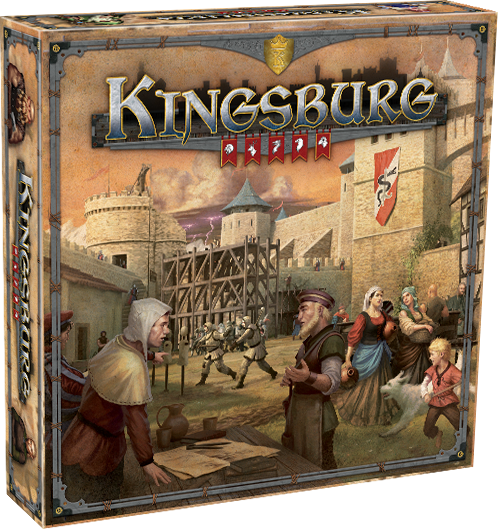 In every game of Kingsburg, you are free to construct your province as you see fit and this definitive edition offers more choices than ever before. Containing the base game, all five modules from the To Forge a Realm expansion, and the brand-new Alternate Advisor Rewards module, you will have more options than ever before!